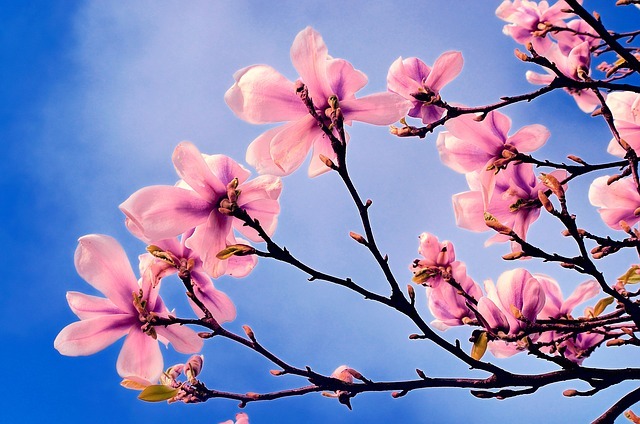 After the dreary winter months most of us are happy to see the early signs of spring; warmer weather, gentle breezes and flowers blooming however for oxygen, asthma and sleep therapy users these signs indicate the start of allergy season and suffering. Allergies can be debilitating and can force sufferers to hide indoors to avoid flare-ups, can reduce the benefits and effectiveness of treatment and lower their quality of life. Allergies affect your respiratory system through congestion and narrowing of airways and when you are already suffering from respiratory problems and are already requiring oxygen therapy, this additional problem can dramatically affect and worsen your condition. With a bit of planning and awareness, you can minimize symptoms and live life to the fullest all year round. The term “allergy season” refers to certain months, in the spring and autumn when hay fever and airborne pollens are most prevalent out of doors, but your own “allergy season” will depend on where you live and what you’re allergic to as different plants release pollens at different times of year and indoor allergies can occur all year round. In order to predict when you’ll get allergies you need to know what is causing them. Allergies can be caused by a variety of indoor and outdoor pollutants. By recognizing the symptoms of allergies you can take action quickly when they hit. Stuffy or runny nose, ear congestion, sneezing, itchy or watery eyes, fatigue, excess mucus, sore throats, wheezing or coughing, and shortness of breath. More serious reactions such as rashes and swelling can also occur. Indoor allergens, like dust and pet dander hide in bookshelves, air conditioning vents, window ledges, behind couches and under chairs. A good spring clean at the beginning of EVERY season can be a great way to make your home feel “new again” and it’s a great way to minimize indoor allergens. For added protection wear a dust mask when you clean to keep exposure to a minimum; and only use mild soaps and detergents as required. Enjoying fresh air and the great outdoors is one of life’s great pleasures; but sometimes we can have too much of a good thing. Check the pollen count in your area and if it is high where you live try to stay indoors during the morning, when pollen counts are usually the highest, and on windy days, when dust and pollen are blown about. Keeping windows closed at night, and using air conditioning instead, can also help keep pollens and moulds from drifting into your home; and air conditioning can also clean and dry the air. Shower and wash your hair daily; every night if possible, to help clean off any allergens that have gathered on your body during the day. Don’t mow lawns or rake leaves as this can stir up pollens and dust; and instead of hanging clothing outside to dry, dry it inside to keep it away from airborne pollens and moulds. Many oxygen concentrators have filters that need to be changed or replaced on a regular basis. Air inlet filters are often external to the machine and should be washed and thoroughly dried on a regular basis. Internal filters usually only need to be replaced every few years. In addition oxygen cannulas and tubing should be replaced regularly to ensure that moulds and bacteria don’t build up. There are now free apps available to download onto your phone that can help you monitor allergic events, you can keep a diary and it can alert you to when the seasons are due to start. It also will keep track of lots of medical data so that you can then show to your doctor to discuss any possible requirements to alter medication or oxygen flow rates or equipment. This may be the ultimate vacation excuse so why not take a vacation during the height of your allergy season. Go to the beach or any clean, pollen-free area and enjoy an allergen free vacation. The relief from the additional suffering and the fact that you’re having a holiday will be blissful and beneficial to your health and well-being. Remember that NHS oxygen providers don’t supply oxygen to travel abroad, but its easy to organise any oxygen requirements you might have if you need to travel or fly abroad, just visit our website www.oxygenworldwide.co.uk.